Figure 2. New material is added to crustal plates at mid-ocean ridges where they are moving apart. 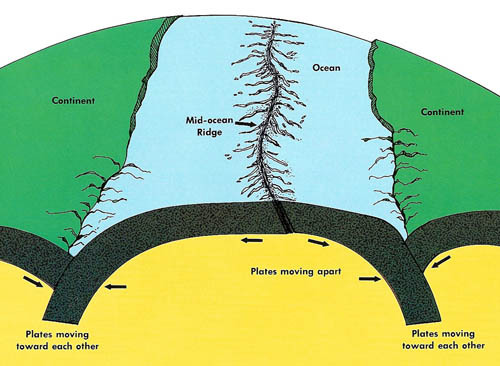 Ocean plates plunge down into the mantle where they ram into continental plates. Figure 3. The world's 15 major crustal plates. Figure 4. 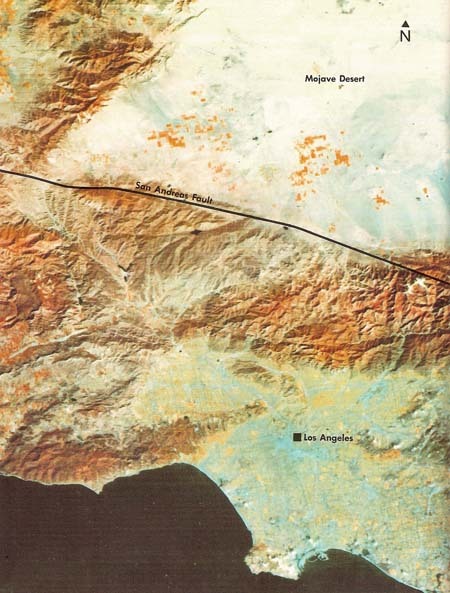 The Landsat-1 satellite took this picture of an area of southern California that includes Los Angeles, the Mojave Desert, and the San Andreas Fault. 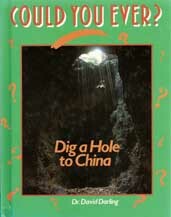 Explorers who set out to dig a hole deep into the Earth must first go through the crust. For such a challenging project, it is important to know as much as possible about how the crust is made and how it varies from place to place. As long ago as the 1600s, something very strange had been noticed about the world's continents. They look like the pieces of a jigsaw puzzle that may once have fitted snugly together! The east coast of South America, for instance, closely matches the west coast of Africa. Could all the continents have been joined as one great land mass many millions of years ago? This theory, or idea, began to seem even more correct when huge coal deposits were found in America that exactly matched deposits in Europe. Then scientists found another convincing piece of evidence. They discovered fossils of ancient plants and animals on opposite sides of the Atlantic Ocean at just the places where the continents could best be fitted together. It seems that, in the remote past, the land surface of the Earth may have been a single, giant continent. Over many millions of years, this huge continent broke up and drifted apart. In 1915, a German scientist Alfred Wegener, argued strongly that this was the case. But there was a problem with his theory. No one could explain how Wegener's supercontinent, called Pangaea, could have been split up into pieces and scattered around the globe. In 1928, an English scientist, Arthur Holmes, suggested that there might be currents in a liquid layer of the upper mantle. Holmes's theory led some scientists to think that the continents might drift about like rafts on a partly molten sea of rock. Later, an American, Harry Hess, took this idea a step farther. He claimed that the currents in the upper mantle could force up molten rock, known as MAGMA, through great cracks in the sea floor. As the magma cooled, said Hess, it would form a strip of dark, heavy rock, called BASALT. That rock would gradually spread as more magma flowed through the crack. The great ridges that were known to run the length of the world's oceans were, he said, the site of this activity. These startling ideas of CONTINENTAL DRIFT and SEA-FLOOR SPREADING were not fully accepted until the late 1960s. Then, within the space of a few years, they were linked together in a grand new theory known as PLATE TECTONICS. Tectonics comes from a Greek word meaning "builder." According to this theory, the outer layer of the Earth consists of at least 15 interlocking plates of rock. These slowly glide over the hot, toffee-like rock of the mantle below. In doing so, they collide, move apart, and slide past each other, carrying the oceans and continents with them. Plates are constantly being added to, says the theory; by new rock that wells up at the cracks in the middle of the oceans. The plates that meet in the Mid-Atlantic Ridge, for example, are gradually moving apart by about an inch a year. Since the Earth's crust has to stay the same size, then plates must be destroyed at an equal rate in other parts of the world. This destruction happens where an ocean plate rams into a continental plate. 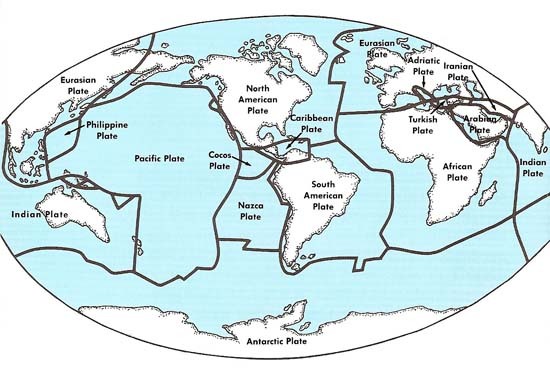 The ocean plate, consisting largely of heavy basalt, plunges down into the mantle where it eventually melts. At the same time, pieces of the ocean plate that are shaved off by the continental plate may pile up to form a range of mountains. The Andes of South America, for instance, came about in this way and are still growing today. Molten rock from the downward-moving edge of the ocean plate may also force its way back to the surface through volcanoes. Everywhere on the Earth's surface where two plates meet, there is violent activity. Sometimes, instead of colliding head-on, two plates slide past one another. This happens along the famous San Andreas Fault in California. Here the giant Pacific Plate rubs against the North American Plate. When the plates suddenly slip, after having been stuck in one place for a number of years, a large earthquake rips open the Earth's surface. On October 17, 1989, movement along the San Andreas Fault near San Francisco caused widespread damage. A mile-and-a-half elevated stretch of the Nimitz Freeway collapsed, killing about 50 people who were driving on it at the time of the quake. 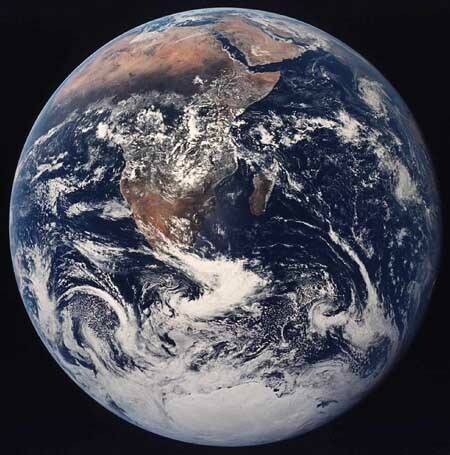 In recent years, views of the Earth from space and the use of computers to process large amounts of data quickly have greatly improved our knowledge of plate tectonics. Earthquakes, too, can now be predicted with greater accuracy. But their exact timing and location can still take scientists by surprise. Before beginning our journey down into the Earth, we should know more about the crust. First, it is by no means the same depth at every point. The crust beneath the ocean is very thin – less than four miles from top to bottom. Under the continents, though, the crust is at least 22 miles deep. Beneath large mountain ranges, it may go down 37 miles. There is also a big difference between the make-up of oceanic and continental crust. Most of the crust under the ocean is composed of basalt, which contains silicon, iron, and magnesium. The much thicker crust of continents, on the other hand, consists mainly of GRANITE. This is a lighter rock rich in silicon and aluminum. Oceanic crust usually has only a few separate layers, but continental crust can have a complex structure of many layers. The crust may seem unimportant compared with the incredibly deep mantle and core that lie below it. Still, it is the best explored region within the Earth and also, perhaps, the most varied and interesting. The ways in which humans, machines and nature itself have penetrated this hard, outer rocky shell of our planet will help guide future explorers.